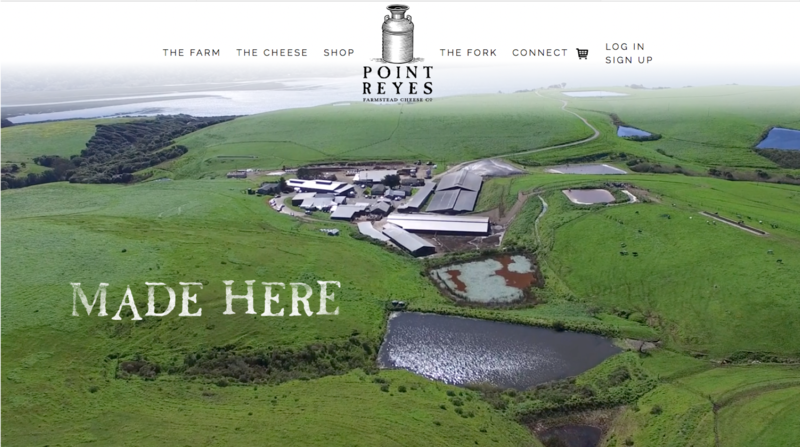 Point Reyes Farmstead – California dairy producing a traditional blue cheese. 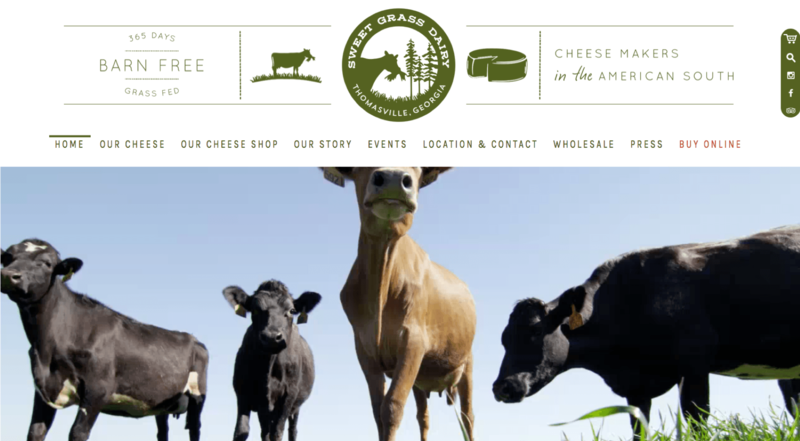 Sweet Grass Dairy – Fresh, semi-ripened, and naturally aged goat and cow cheeses. 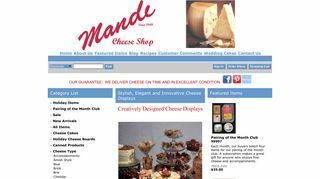 Mandi Foods – Domestic and imported cheeses from around the world. 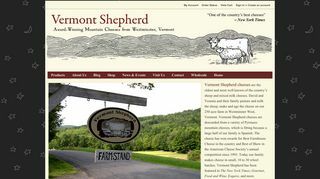 Vermont Shepherd – Hand-crafted sheep’s and cow’s milk cheeses. Putney, Vermont. 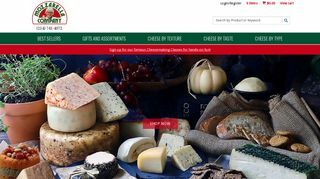 Bedford Cheese Shop – Offering many different varieties, as well as a cheese of the month club. 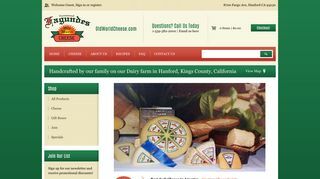 Fagundes Old World Cheese – Gift boxes of raw cow milk cheeses aged 60 days. Milk has no artificial hormones, rBST or BGH. 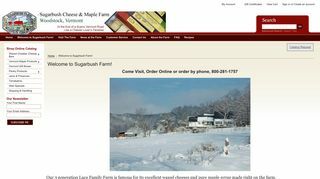 Sugarbush Farm Vermont – Produces natural Cheddar cheese. 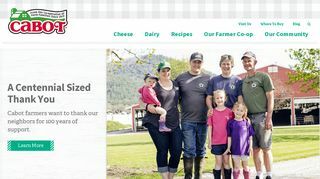 Cabot Cheese – Making cheese and other dairy products in Cabot, Vermont, US since 1919. 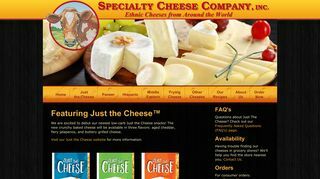 Specialty Cheese Co. – Mexican, Caribbean, Indian and Middle Eastern cheeses. 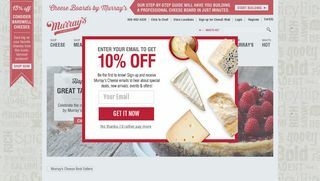 Also offers a large number of cheese recipes.